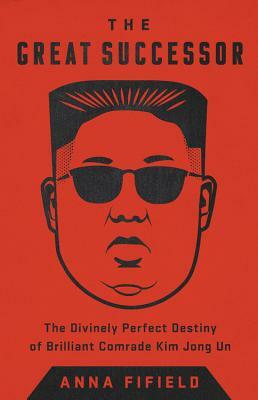 The Great Successor is an insightful quest to understand the life of Kim Jong Un, one of the world's most secretive dictators. Kim's life is swathed in myth and propaganda, from the plainly silly--he supposedly ate so much Swiss cheese that his ankles gave way--to the grimly bloody stories of the ways his enemies and rival family members have perished at his command. One of the most knowledgeable journalists on modern Korea, Anna Fifield has exclusive access to Kim's inner circle: the aunt and uncle who posed as his parents while he was growing up in Switzerland, members of the entourage that accompanied Dennis Rodman on his quasi-ambassadorial visits with Kim, and the Japanese sushi chef whom Kim befriended and who was the first outsider to identify him as the inevitable successor to his father as supreme ruler. She has been able to create a captivating portrait of the oddest and most isolated political regime in the world, one that is broken yet able to summon a US president for peace talks, bankrupt yet in possession of nuclear weapons. Kim Jong Un; ridiculous but deadly, and a man of our times. Anna Fifield is the Beijing bureau chief for The Washington Post. She previously covered Japan and the Koreas for the Post, and was the Seoul correspondent for the Financial Times. She has reported from more than 20 countries and has visited North Korea a dozen times, becoming one of the most authoritative journalists on this impenetrable country. She was a Nieman journalism fellow at Harvard University, studying how change happens in closed societies. In 2018, she received the Shorenstein Journalism Award from Stanford University for her outstanding reporting on Asia.